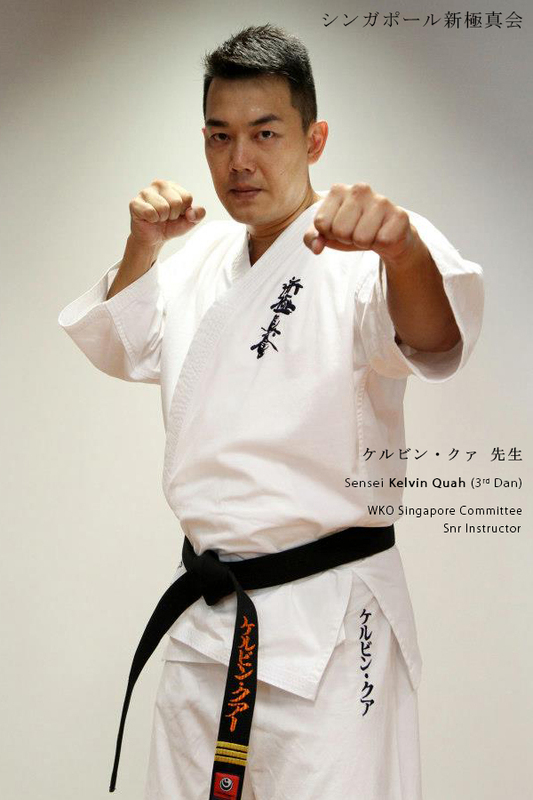 Sensei Kelvin Quah has been training for nearly 30 years. He is the Dojo Chief for Kolam Ayer Dojo and is known for breaking multiple baseball bats with his gedan mawashi geri (low roundhouse kick), which was featured in the media. During his National Service stint, Sensei Kelvin was a member of the elite Naval Diving Unit (NDU), which requires tremendous perseverance, commitment and endurance. In his younger days, he also competed in numerous local and regional full contact tournaments. Sensei Kelvin currently holds a 4th degree black belt and is a certified associate referee. He believes in developing fighters with heart and character who live the dojo kun (training hall oath) as everyday precepts.